The recommendation matches that of the Citizens’ Assembly. THE OIREACHTAS COMMITTEE on the Eighth Amendment today voted to recommend an abortion regime similar but not identical to that which was recommended by the Citizens’ Assembly. On the substantive issue over whether the Eighth Amendment be repealed, the committee voted by a margin of 14 votes to six that it should. This differed to the recommendation by the assembly which said that the Eighth Amendment be replaced or amended. In 15 other votes taken today, the committee recommended what amounts to a significant liberalisation of Ireland’s abortion regime. Among the recommendations were that a termination should be available without restriction up to 12 weeks of pregnancy. That matches the recommendation of the Citizens’ Assembly. The committee’s report will also recommend that a termination be legal in cases of fatal foetal abnormality but it will not recommend that a termination be legal in cases where a foetal abnormality is not deemed to be fatal. On that latter point, the committee differs from the Citizens’ Assembly which recommended that a termination be legal in cases of a “significant abnormality” that are not fatal. The committee also rejected the Citizens’ Assembly recommendation that abortion be legal for socio-economic reasons. Now that its voting has been completed, the committee will now draft a report for the Oireachtas which the government will use to devise the wording of a referendum. Taoiseach Leo Varadkar has stated that it is his desire to hold such a referendum in May. For this timeline to be met, is expected a Dáil referendum bill would be required to be passed by the end of next month. Fianna Fáil and Fine Gael have said that their TDs will have a free vote on matters relating to the Eighth Amendment. Since the completion of today’s’ committee, campaign groups and political parties have been giving their reactions. We warmly welcome the committee’s recognition that women’s healthcare does not belong in the Constitution and their clear recommendation for repeal of the Eighth Amendment. We are particularly pleased that the committee has recommended that legislation should include provision of abortion without restriction as to reason up to 12 weeks as this will provide for the majority of women who seek abortions in Ireland. We believe that the Committee’s recommendations reflect the wishes of a majority of the Irish people. Today’s vote for abortion by the Oireachtas Committee on the Eighth Amendment is a total betrayal of women and their unborn babies and represents a tragic drift backwards for society rather than a step forward. Anyone who tries to suggest that today’s vote is not for abortion on demand is telling a lie. The decision to opt for a time limit of 12 weeks on request was plucked from thin air. It reveals a frightening disregard for the right to life of the most innocent and defenceless members of society, namely unborn babies. Today’s vote is an important step forward for the human rights of women and girls in Ireland. It is also a victory of expert evidence and reason over disinformation and ideology. It should finally put to bed the portrayal of abortion reform as too complicated or controversial. The committee’s acceptance of abortion as a health and human rights issue is not only of immense domestic significance. It is an important outcome in the global fight for women’s and girls’ sexual and reproductive rights. “Today is a welcome day for the women of Ireland, who have been let down by the political system for decades in providing for their medical needs,” said Louise O’Reilly TD. “The committee’s recommendation has put Ireland on track to providing full reproductive care to its citizens,” said Catherine Martin TD. 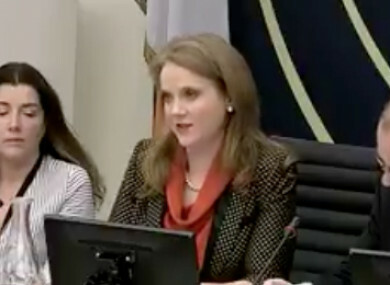 “Over the last 13 weeks the expert evidence and experiences heard at the committee have shown just how pressing the need is to remove the eighth amendment from our constitution. Email “Committee recommends legal abortion up to 12 weeks of pregnancy without restriction”. Feedback on “Committee recommends legal abortion up to 12 weeks of pregnancy without restriction”.